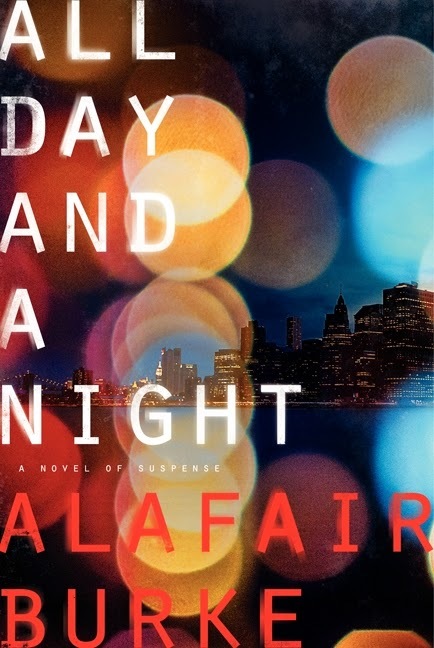 Detectives Ellie Hatcher and JJ Rogan are back in Alafair Burke’s latest book All Day and a Night. This is the fifth book to feature NYPD Detective Ellie Hatcher, and it is a really great read. When a psychotherapist is murdered in her New York City office, the police get an anonymous letter that links the case to previous murders committed by a serial killer. The problem is that Anthony Amaro, the man convicted of these murders, is serving a life sentence and, therefore, couldn’t have done it. Ellie and Rogan are put on a “fresh look” team to determine if Amaro really was the killer, or if he was wrongfully convicted 20 years ago. To top it off, Amaro has hired a media hungry lawyer to defend him, and her co-counsel, Carrie Blank, is the half sister of one of the earlier victims. Is Carrie on the case because she thinks Amaro is innocent of her sister’s murder, you ask? You’ll just have to read the book to find out. We can all relate to reading books that are just average, but still entertaining. When we put them down at the end, we tend to have 2 or 3 criticisms: we wish the author hadn’t done this to that character, that the plot didn’t go in quite that direction, or that that final wrap up scene wasn’t so unbelievable. We go on to the next book, but aren’t tweeting all of our friends about the great book we just read. When I turned the last page of All Day and a Night, I wanted to tweet all my friends about the great book I had just read. Unfortunately, I don’t tweet, so I had to resort to email. I not only had no criticisms, but I was completely satisfied with how everything shook out for every character. This, I believe, is one of the highest praises a reader can give to an author. Readers have a lot to choose from these days, and let’s face it, we’re a fickle group. To satisfy us, you have to hit a really high mark in a bunch of different categories. For me, Alafair Burke hits that mark and I look forward to each and every book she writes, knowing I will be entertained, and, more importantly, completely satisfied! "everything happens seamlessly and things just click" I love it when an author has the ability to do this - it makes for a great read! I love Ellie and can't wait to read this.